It’s been a busy time at City Hall as the Council is wrapping up its legislative session before summer recess. Councilmembers are discussing several measures to place on the November ballot. There are several important issues I wanted to update you on. Like many of you, the issues of housing affordability and homelessness are key concerns of mine. Since I took office in December 2016, I have made addressing these important issues a top priority. The City Council has initiated new programs to provide shelter, services, and housing for our unsheltered population. Below is an update on the Pathways STAIR Center. In addition, we are moving ahead with two exciting affordable housing projects: the 154-unit Berkeley Way project to provide affordable housing, permanent supportive housing and shelter; in addition to a new Small Sites Program to acquire and rehab multi-unit buildings to preserve affordability. While these initiatives are important steps to expand housing opportunities, they sadly do not go far enough. Berkeley is far behind in meeting its regional targets for extremely low, very low, low and moderate income housing. Every week, people are being displaced from our city due to rising housing costs, and the cost of a single family home is at $1.1 million. Fortunately there are new funding sources available through the State of California, but Berkeley does not have the local dollars to help projects get built. To prevent displacement and create new affordable housing, the City Council recently placed on the November 2018 ballot a $135 million Affordable Housing General Obligation Bond (please read below for more information). This Tuesday, the Council will also consider placing a 1% increase in the Real Property Transfer Tax (the tax paid when properties are sold or transferred) for properties over $1.5 million dollars. The Council is placing this measure on the ballot to increase funds for services like homeless shelter, Navigation Centers, housing subsidies, and mental health services. The City Council will also be considering a ballot measure to amend the Rent Ordinance to exempt lawfully established Accessory Dwelling Units (ADUs) from rent control, in addition to other changes. This will help encourage the creation of ADUs which are a more affordable way to increase housing. City Council will be on summer recess starting August 1st, however the Mayor’s Office will be open to serve you. I hope you are enjoying the great summer sunshine and thank you for the honor of representing you. Good news! In less than two weeks after opening, all 45 beds at the Pathways STAIR Navigation Center for the homeless are full and five people have already moved into permanent housing. The STAIR Center is no ordinary homeless shelter: Here people can bring their pets and partners, come and go as they please and have access to case management, addiction treatment, employment programs and assistance with finding a permanent place to live. I am thrilled with the progress the Pathways Project has already made in giving vulnerable people in our community, many of them longtime Berkeley residents, a hand up, not just a hand out. Solving the homelessness crisis will require regional leaders working together to find both short-term and long-term solutions, including building more affordable housing, providing access to mental health and addiction treatment, and an increase in wages. While we work on these long-term solutions, I am happy that the STAIR Center is addressing immediate need in our community and hope that other cities throughout the Bay Area follow suit. We know that a 45-bed facility does not, by itself, adequately address our homeless crisis. That’s why over the past year, my office has been busy working on something we’ve dubbed “the 1,000 Person Plan,” a reference to the number of people who are currently unsheltered in our community. The goal of the plan is to work with our regional partners to build 8,500 deeply affordable units throughout Alameda County by 2023. In between now and then, we plan to leverage A1 (paid for by all county residents) and newly allocated state money ($500 million in FY 2019) to build more tiny home villages, micro units and other transitional housing until permanent affordable housing is built. One project that is part of the 1,000 Person Plan and already underway is Berkeley Way, slated for downtown Berkeley. The project will create 154 new units of housing, including 89 apartment for working families making below $73,000 a year for a one person or $104,000 for a family of four. There would also be 15 beds for veterans and 54 units of permanent “supportive” housing, meaning that people living in them would also have access to case managers trained in addiction, mental health and other services. The goal of the 1,000 Person Plan is to create enough shelter and affordable housing to address the needs of our unsheltered population. We know that no city alone can “solve” homelessness. But working together with other Alameda County cities, we can significantly lower the homeless population and make sure that fewer people have to sleep on the streets. 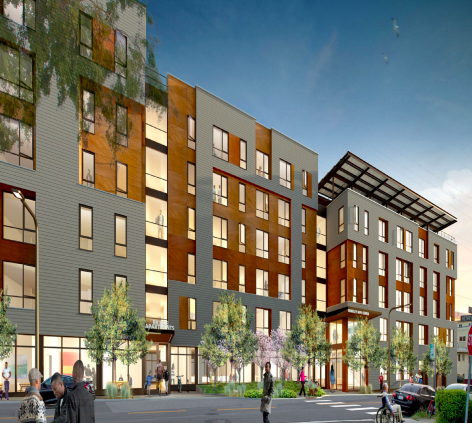 Sketch of planned Berkeley Way affordable housing development, to be located in downtown Berkeley. We all know that Berkeley is facing a housing affordability crisis which affects everyone, from the homeless to the middle class. We need to significantly increase the production of affordable housing. That is why this November, Berkeley voters will be asked to approve a $135 million Affordable Housing General Obligation Bond measure. The measure -- which translates into approximately $100 /year per average Berkeley home -- will allow the city to implement its vision of building more affordable housing from extremely low income to middle income, such as teachers making below the Area Median Income. It will also allow existing tenants and non-profit developers to acquire apartment buildings to establish permanently affordable housing. After a year of research and discussion, the Berkeley City Council voted on July 23rd to permit Berkeley Police, Fire and other staff to participate in the 2018 Urban Shield exercises. I cast the deciding vote allowing our first responders to receive training to be better prepared for mass shootings and other manmade and natural disasters. However, this may be the last year for Urban Shield, as the Alameda County Board of Supervisors voted earlier this year not fund Urban Shield in 2019 as currently constituted. 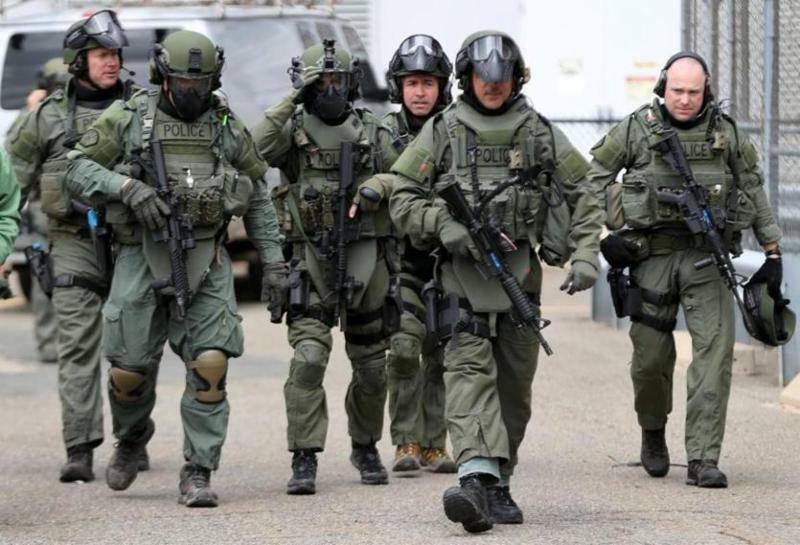 While I recognize the importance of tactical training for our first responders, I also have strong concerns with the heavy emphasis on militaristic tactics, the presence of ICE in Urban Shield, and the expo where in the past vendors have sold “Black Rifles Matter” t-shirts mocking the Black Lives Matter movement. Because of these and other concerns, there has been a growing movement to end Urban Shield. As a result of the years of advocacy, the Board of Supervisors is undergoing a major review of Urban Shield with the goal of reforming it. The City Council voted to send a detailed letter to the Sheriff’s Office and the Alameda County Board of Supervisors with suggestions on how to make Urban Shield more in line with our city’s values of non-discrimination, community policing, sanctuary and respect for civil and human rights. In addition, we plan to lobby the U.S. Congress to remove the program’s current requirement that training be connected to terrorism and redirect toward broader emergency preparedness. Removing obstacles to urban farming in Berkeley has been a legislative priority of mine. Improving food security is important to reduce hunger, improve health outcomes and make our city more resilient. As a result of our efforts, on July 10th the City Council adopted the Urban Agriculture Ordinance. This legislation establishes Urban Agriculture as a land use and creates a streamlined permitting process that will allow cultivation of local produce on private vacant and occupied property throughout the city, many of which only requiring a Zoning Certificate. It also greatly expands areas for gardening and limited sales of produce and other agricultural products (such as honey), makes it easier to start rooftop gardens and use sheds, greenhouses, trellises and greenhouses for food production. This new policy will absolutely create more green spaces in our community, increase access to fresh produce, bolster the economy, and reduce greenhouse gas emissions from food transport. For more detail, visit council item 8. If you are a first generation to college student or come from a socio-economically challenging background, you may be eligible for a Berkeley Promise scholarship, part of the 2020 Vision initiative. Scholars receive $1,500 while at Berkeley City College, along with group mentoring and transfer assistance. Once students transfer to a four-year school, they receive $4,000/year and one-on-one mentoring. Deadline to apply is September 28, 2018.